Join us on November 14, 2018. More than 200 companies have been honored during the past 19 years and represent many of Central Ohio’s finest family-owned businesses. Community Engagement: for family businesses that have made a significant contribution to the Central Ohio community. Family Business of the Year: recognizes family businesses that have made a significant contribution to their industry or the Central Ohio business community. Legacy: recognizes a family business, whose owners support other family businesses by including the Conway Center for Family Business in their estate plan. Lifetime Achievement: recognizes family business leaders who have made a significant contribution to their industry or the Central Ohio business community. Milestone Achievement: recognizes family businesses that have reached a significant milestone during the award year (longevity, business or other significant achievement). Re-Invention: recognizes family businesses that have successfully adjusted their business strategy or focus to address a changing business climate or societal demands. Rising Star & Next Gen: two categories thatÂ recognize rising stars/next generation family business leaders who are making an impact in their business and in the Central Ohio business community. Succession Planning/Implementation: recognizes family businesses that have developed or completed a succession plan or a transfer of leadership. Support of Family Business: recognizes organizations or individuals that have shown support or demonstrated a commitment to the strength, success or longevity of a family firm. To nominate a family business for an award, click here and complete the nomination form. Conway Center Family Business and Service Provider members are invited to take advantage of this outstanding business development opportunity. The Family Business Expo is a great way to showcase your business, products or services to more than 500 family business leaders and advisors who will attend the Awards Program. Click here for more information and to reserve a table. 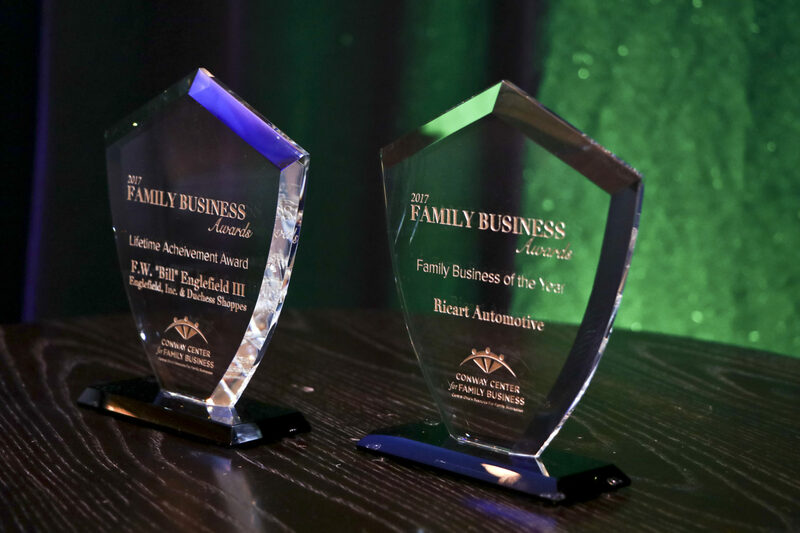 Click here to nominate a family business for the 2019 Family Business Awards Program. Please support the Conway Center! We are a 501(c)3 non-profit that provides educational resources and programs for family-owned businesses in Franklin and surrounding counties. Your donation to the Conway Center will help Central Ohio family businesses continue to thrive and drive economic development. Any donation, big or small, would be greatly appreciated and is tax-deductible. For information about becoming a family business member, please click here. For information about becoming a Service Provider member, please click here.